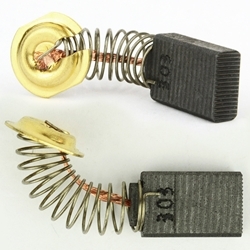 Superior Electric M35 Aftermarket Dewalt 381028-02 , 381028-08 Carbon Brushes.Carbon Brushes are normally referred to as wear items and most commonly replaced parts due to the friction and daily use in motors, finally needing a replacement.But Superior Electric carbon brush is made to last longer. These carbon brushes makes sure your motor runs properly, fixes a motor that operates intermittently and restores a motor's electric braking.This ultimately leads to increased motor power without any motor malfunctions. 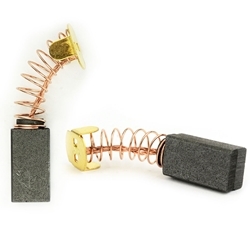 Replaces Dewalt parts 381028-08, 381028-02. As good as O.E.M. these are available at a much lesser price. Dimensions (LxWxH): 0.85" x 0.48" x 0.25"
Superior Electric K30 Carbon Brush.Carbon Brushes are normally referred to as a wear item, and usually has to be replaced after short periods of time due to its usage and friction. But Superior Electric Carbon Brushes are specifically designed to be long lasting, with optimal quality and reliability.These Brushes make sure your motor runs properly, fixes an intermittently operating motor and restore your motor's electric braking.This is a replacement tool for Makita. It replaces Makita (CB-325), and obsolete part 194074-2. As good as the genuine Makita part at a rock bottom price. 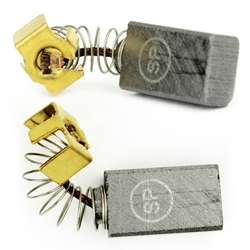 Dimensions (LxWxH): 0.65" x 0.43" x 0.20"
Superior Electric S77 Aftermarket Carbon Brushes. Carbon Brushes are normally referred to as wear items and most commonly replaced parts due to the friction and daily use in motors, finally needing a replacement.But Superior Electric carbon brush is made to last longer. 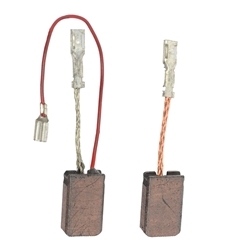 These carbon brushes makes sure your motor runs properly, fixes a motor that operates intermittently and restores a motor's electric braking. This ultimately leads to increased motor power without any motor malfunctions. Replaces Skil - Bosch parts 1619X01351, 2610320391, 2610912980. As good as genuine O.E.M. parts, at much lower price. Dimensions (LxWxH): 0.72" x 0.5" x 0.25"
Superior Electric K21 Genuine Makita replacement part. Brush was made to be long lasting with optimal quality and durability. This high quality Carbon Brush Set replaces genuine Makita brush sets which include Makita (CB-154), 181047-4, 194986-9, 643152-0, 643153-8, 957805410, 643154-6. This part is as good as genuine Makita parts at a lower price! 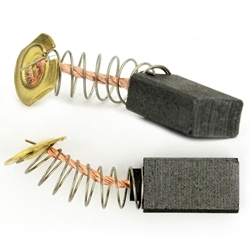 This part is compatible with many Makita Power Tools, mentioned below in the reference list. 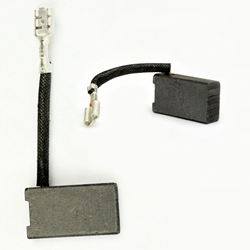 Dimensions (LxWxH): 0.73" x 0.52" x 0.25"
Superior Electric G58 Replacement Carbon Brush Set.Carbon Brushes are normally referred to as wear items and most commonly replaced parts due to the friction and daily use in motors, finally needing a replacement.But Superior Electric carbon brush is made to last longer. 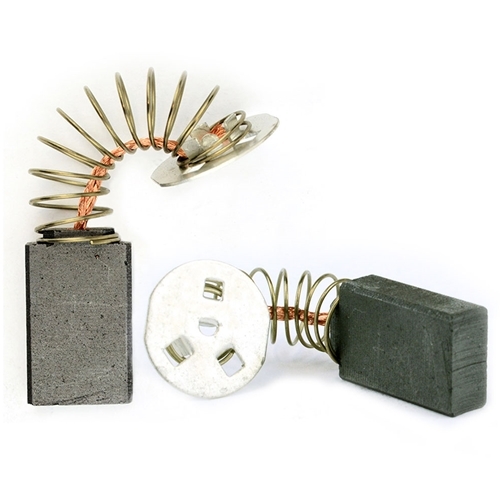 These carbon brushes makes sure your motor runs properly, fixes a motor that operates intermittently and restores a motor's electric braking. This ultimately leads to increased motor power without any motor malfunctions. This carbon brush set replaces Dewalt 176846-04, 176846-02, 176846-03. As good as O.E.M., these are available at a very affordable price. Dimensions (LxWxH): 0.51" x 0.31" x 0.24"
Superior Electric, brand new, Aftermarket Carbon Brush, K25. This is a genuine Makita replacement part. It replaces Makita (CB-408), and obsolete parts 191938-1, 195008-8. This high quality Carbon Brush is made to be long lasting, and highly durable, offered at the most affordable price. It is compatible with many power tools as listed below. 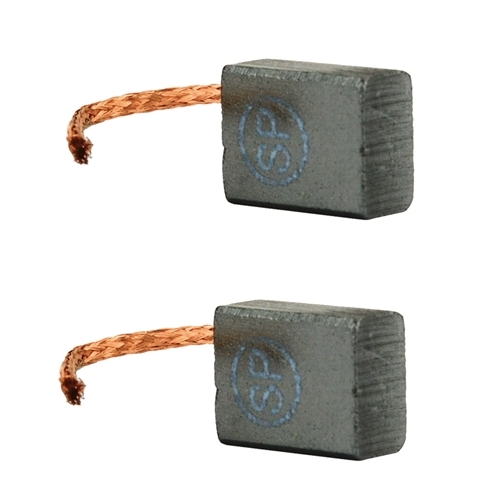 Dimensions (LxWxH): 0.47" x 0.35" x 0.23"
Superior Electric, brand new, Aftermarket Carbon Brush, K24. This is a genuine Makita replacement part. It replaces Makita (CB-124), and replaces obsolete Makita parts 191945-4, 643100-9. 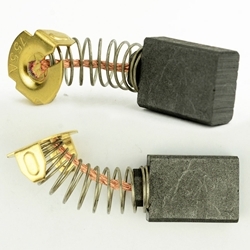 Carbon brushes are normally referred to as worn items, indicating its wear and tear through friction and use in power tools. 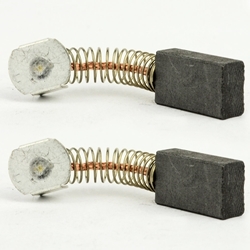 But Superior Electric Carbon Brush is made to be long lasting, optimal quality and highly reliable. 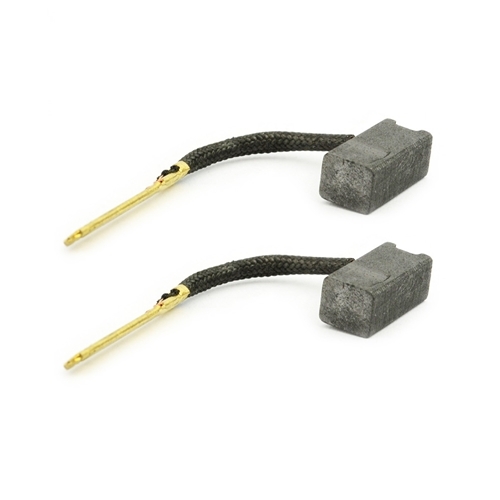 These Carbon Brushes make sure your machine is running properly and restores a motor's electric braking. It is compatible with many power tools, the list being provided below for your reference. 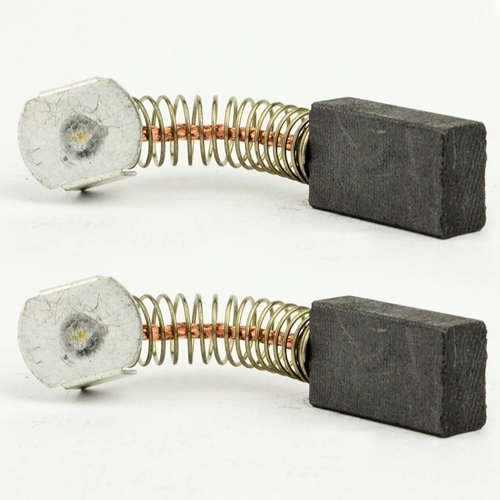 Dimensions (LxWxH): 0.57" x 0.39" x 0.23"
Superior Electric N39 Genuine Milwaukee replacement part. Brush was made to be long lasting with optimal quality and durability. 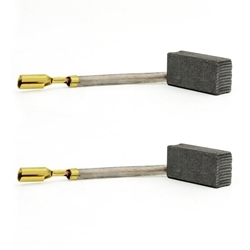 Dimensions (LxWxH): 0.56" x 0.43" x 0.25"
Superior Electric, brand new, Replacement Carbon Brush Set, K29. 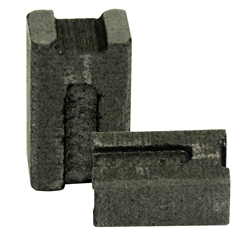 This is a genuine Makita replacement part, replaces Makita (CB-203), 191953-5, 643200-5. Brush was made to be long lasting with optimal quality and durability. This high quality carbon brush set is compatible with most Makita power tools, and it is available at the most affordable prices too!! Reference list is provided below. Dimensions (LxWxH): 0.62" x 0.7" x 0.27"
Superior Electric M18 Genuine DeWalt replacement part. Brush was made to be long lasting with optimal quality and durability. Dimensions (LxWxH): 0.52" x 0.27" x 0.23"
Superior Electric, brand new, Aftermarket Hitachi Carbon Brush, P05. This is a genuine Hitachi replacement part. 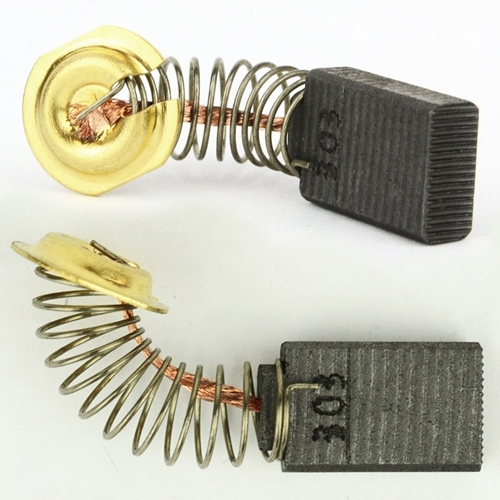 This part replaces Hitachi 999-043, and, Dewalt 5140003-43. This brush is designed to be long lasting along with premium quality, reliability and durability. This Superior Electric Carbon Brush is compatible with many tools like various Drills and Saws. The reference list for compatibility is provided below. 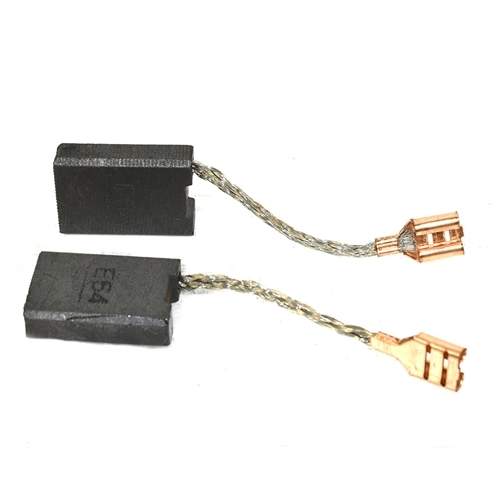 Dimensions (LxWxH): 0.66" x 0.43" x 0.27"
Superior Electric R02 Genuine Porter Cable replacement part. Brush was made to be long lasting with optimal quality and durability. 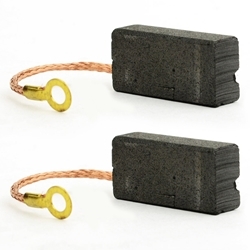 Dimensions (LxWxH): 0.74" x 0.43" x 0.20"
Superior Electric R12 Aftermarket Carbon Brush. Carbon Brushes are referred to as wear items, which means they have to be replaced regularly due to friction and use. 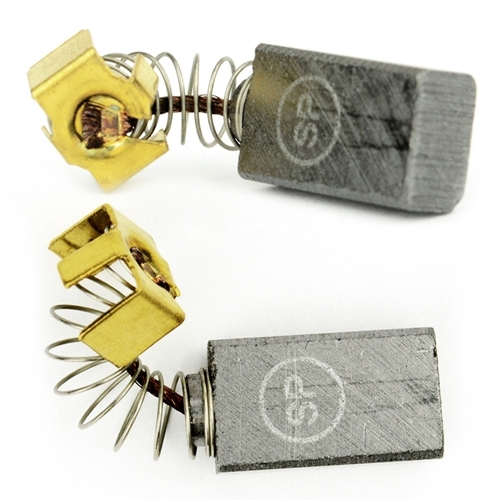 But, Superior Electric Carbon brushes are specifically made to be long lasting and highly reliable with optimal quality. Our Carbon Brush makes sure your motor runs properly. 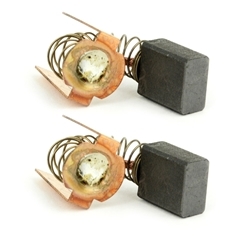 Replaces Porter Cable 690741. Fits many power tools , provided below. 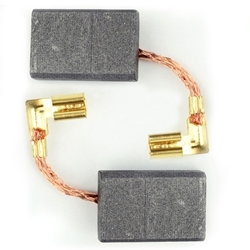 Dimensions (LxWxH): 0.51" x 0.24" x 0.24"
Superior Electric P06 Genuine Hitachi replacement part. Brush was made to be long lasting with optimal quality and durability. Dimensions (LxWxH): 0.66" x 0.66" x 0.27"
Superior Electric, brand new, Aftermarket Carbon Brush, N09. This Carbon Brush is a genuine Milwaukee replacement part. The Brush Set replaces obsolete Milwaukee parts 22-18-0680, 22-18-0620. 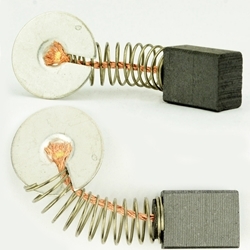 Carbon Brushes are commonly referred to as wear items, indicating their wear and tear through friction and use, and finally replacement is needed. 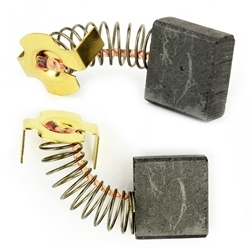 But, Superior Electric Carbon Brushes are specifically made as long lasting, highly reliable and of optimal quality. 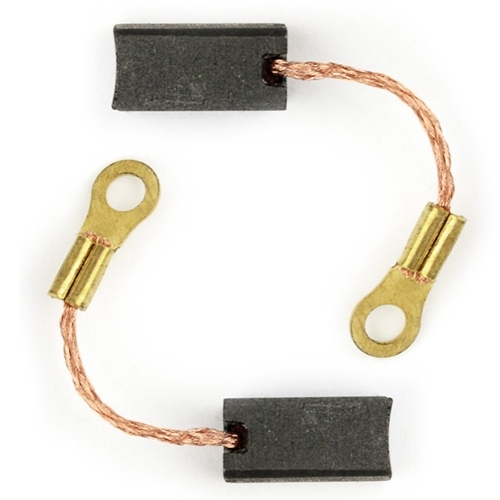 These Carbon Brushes make sure your motor runs properly, fixes a motor that works intermittently, and restores your machine's electric braking. All these valuable features, for a really low price. Compatible with many power tools, provided below. Dimensions (LxWxH): 0.65" x 0.43" x 0.24"
Superior Electric, brand new, Replacement Carbon Brush Set, M11. This Carbon Brush set replaces Dewalt 450374-12, 450374-99. This Brush was made to be long lasting with optimal quality and durability. Compatible with many machines of various brands including Dewalt, Hitachi, Porter Cable, Makita, and Milwaukee. The reference list is provided below. This part replaces obsolete part #: 450374-99. Dimensions (LxWxH): 0.56" x 0.41" x 0.27"
Superior Electric, brand new, Aftermarket Carbon Brush Makita 191956-9, K28. 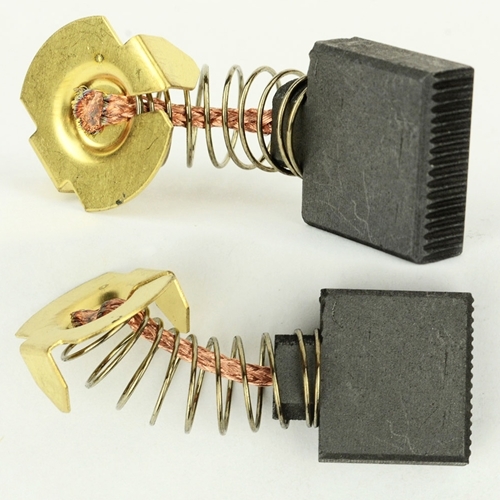 This high quality brush is a genuine Makita replacement part, replaces Makita (CB-75), and obsolete parts, 191956-9, 194971-2, 643054-0, 643056-6, 643057-4. Brush was made to be long lasting with optimal quality and durability. This part is compatible with Sanders, Electric Drills, Screw Drivers and many other machines. The list is provided below. Dimensions (LxWxH): 0.53" x 0.31" x 0.19"
Superior Electric M34 Genuine DeWalt replacement part. Brush was made to be long lasting with optimal quality and durability. 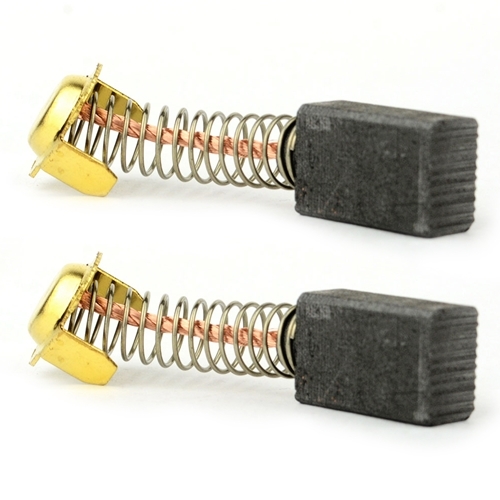 Dimensions (LxWxH): 0.81" x 0.50" x 0.25"
Superior Electric N08 Aftermarket Milwaukee 22-18-0670 Carbon Brush.Carbon Brushes are normally referred to as wear items and most commonly replaced parts due to the friction and daily use in motors, finally needing a replacement.But Superior Electric carbon brush is made to last longer. 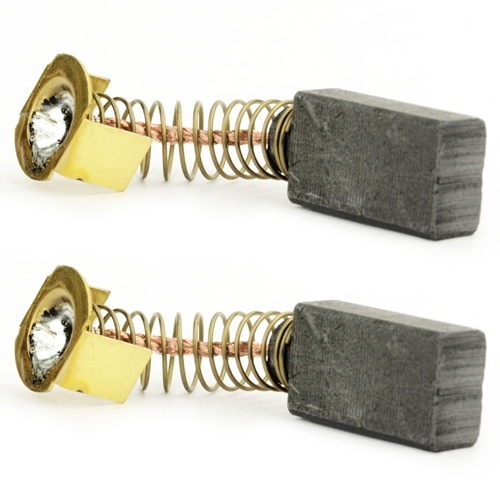 These carbon brushes makes sure your motor runs properly, fixes a motor that operates intermittently and restores a motor's electric braking.This ultimately leads to increased motor power without any motor malfunctions. Replaces Milwaukee 22-18-0670. These cabon brushes are as good as the O.E.M at a very affordable price. 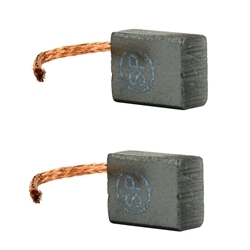 Dimensions (LxWxH): 0.52" x 0.43" x 0.24"
Superior Electric, brand new, Aftermarket Carbon Brush, N11. This carbon brush is a genuine Makita replacement part. It replaces Milwaukee obsolete parts 22-16-0275, 22-16-0250, 22-16-0270. 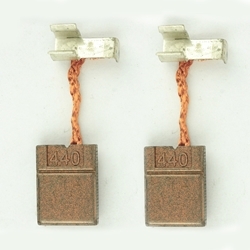 Carbon Brushes are normally referred to as a worn item, indicating its wear and tear due to friction and usage. 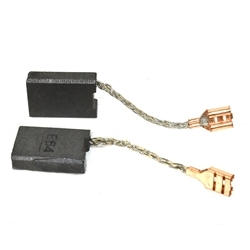 But Superior Electric Carbon Brushes are made to last longer, and highly reliable. 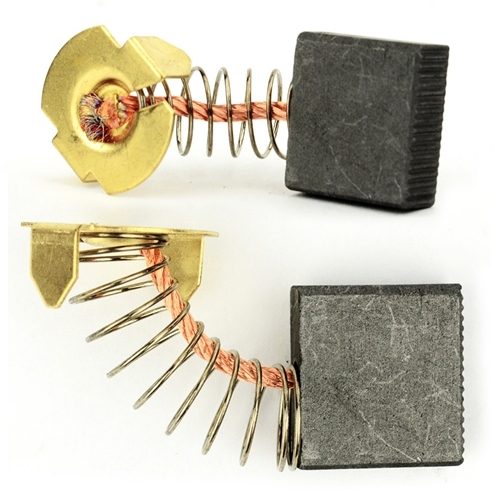 These brushes make sure your motor runs properly and restores your motor's electric braking. So, your motor's intermittent functioning can be fixed easily with these Carbon Brushes. It is compatible with many power tools, the list being provided below. Dimensions (LxWxH): 0.57" x 0.31" x 0.25"
Superior Electric, brand new, Replacement Carbon Brush Set, K27. This is a genuine Makita replacement brush. 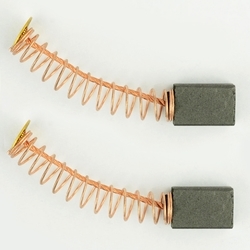 This part is compatible with many different brands of powertools, including Makita, Dewalt, Hitachi, Porter Cable, and Milwaukee. A reference list is provided below to check for compatibility. 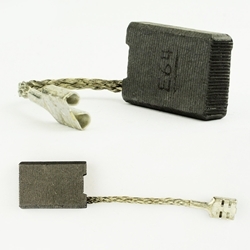 Dimensions (LxWxH): 0.54" x 0.31" x 0.19"
Superior Electric M65 Carbon Brush Set.Carbon Brushes are normally referred to as wear items and most commonly replaced parts due to the friction and daily use in motors, finally needing a replacement.But Superior Electric carbon brush is made to last longer. 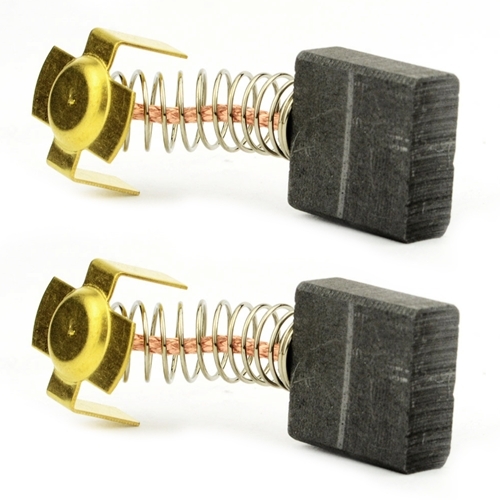 These carbon brushes makes sure your motor runs properly, fixes a motor that operates intermittently and restores a motor's electric raking.This ultimately leads to increased motor power without any motor malfunctions. 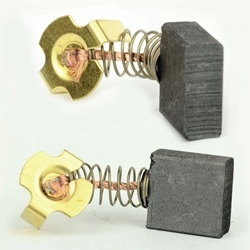 A genuine Dewalt replacement part, replaces Dewalt 650916-01, 636128-01. Dimensions (LxWxH): 0.50" x 0.39" x 0.24"
Superior Electric N22 Carbon Brush Set.Carbon Brushes are normally referred to as wear items and most commonly replaced parts due to the friction and daily use in motors, finally needing a replacement.But Superior Electric carbon brush is made to last longer. These carbon brushes makes sure your motor runs properly, fixes a motor that operates intermittently and restores a motor's electric braking.This ultimately leads to increased motor power without any motor malfunctions. Replaces Milwaukee 22-20-1010, 22-20-0920, 22-20-0555. 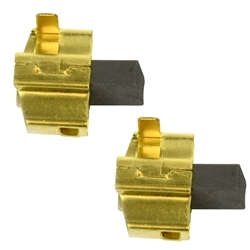 Dimensions (LxWxH): 0.15" x 0.25" x 0.44"
Superior Electric K32 Genuine Makita replacement part. Brush was made to be long lasting with optimal quality and durability. 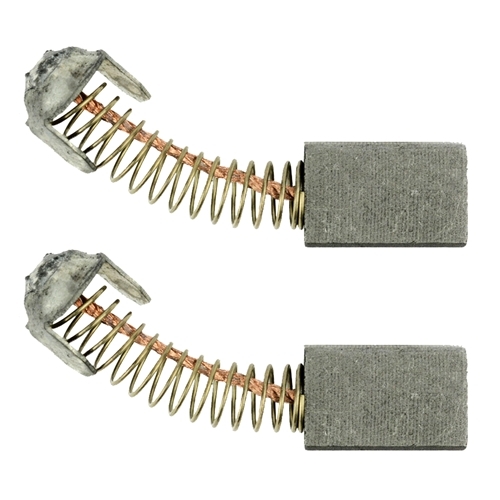 Superior Electric K33 Carbon Brush Set.Carbon Brushes are normally referred to as wear items and most commonly replaced parts due to the friction and daily use in motors, finally needing a replacement.But Superior Electric carbon brush is made to last longer. 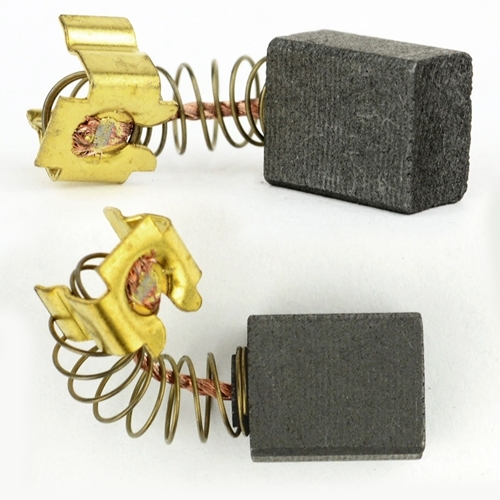 These carbon brushes makes sure your motor runs properly, fixes a motor that operates intermittently and restores a motor's electric braking. Dimensions (LxWxH): 0.63" x 0.70" x 0.27"
Superior Electric K34 Carbon Brush Set.Carbon Brushes are normally referred to as wear items and most commonly replaced parts due to the friction and daily use in motors, finally needing a replacement.But Superior Electric carbon brush is made to last longer. These carbon brushes makes sure your motor runs properly, fixes a motor that operates intermittently and restores a motor's electric braking.This ultimately leads to increased motor power without any motor malfunctions. A genuine Makita replacement part, replaces Makita (CB155), 181048-2, 643155-4, at much lower price. Dimensions (LxWxH): 0.70" x 0.52" x 0.25"
Superior Electric P07 Carbon Brush Set. Carbon Brushes are normally referred to as wear items and most commonly replaced parts due to the friction and daily use in motors, finally needing a replacement. But Superior Electric carbon brush is made to last longer. 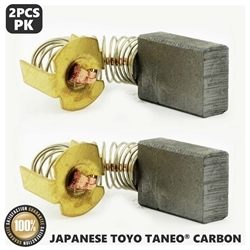 These carbon brushes makes sure your motor runs properly, fixes a motor that operates intermittently and restores a motor's electric braking.This ultimately leads to increased motor power without any motor malfunctions. Replaces Hitachi part number 999-073 and obsolete part 981-612Z. As good as O.E.M this is available at almost half its price. 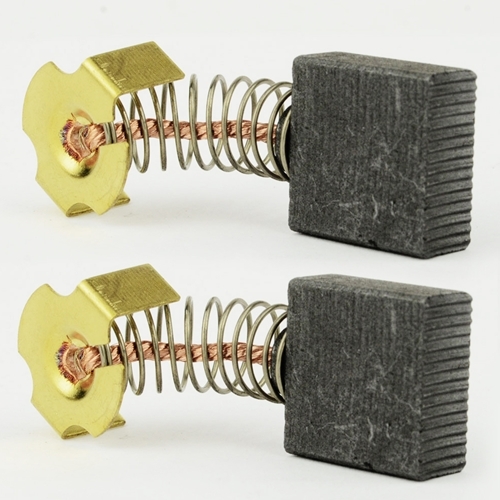 Dimensions (LxWxH): 0.67" x 0.27" x 0.43"
Superior Electric K36 Carbon Brush Set.Carbon Brushes are normally referred to as wear items and most commonly replaced parts due to the friction and daily use in motors, finally needing a replacement.But Superior Electric carbon brush is made to last longer. These carbon brushes makes sure your motor runs properly, fixes a motor that operates intermittently and restores a motor's electric braking.This ultimately leads to increased motor power without any motor malfunctions. A genuine Makita replacement part, replaces Makita (CB-440), 195021-6, 194427-5, 194159-4 at a very low price. Dimensions (LxWxH): 0.52" x 0.40" x 0.12"
Superior Electric, brand new, Aftermarket Makita CB407 Carbon Brush Set, K38. This high quality part is a genuine Makita replacement part, replaces Makita (CB407), CB-419, 191962-4, 191927-6, 195007-0. This part is available at much lower rates!! Brush was made to be long lasting with optimal quality and durability. Compatible with many machines,the list provided below. 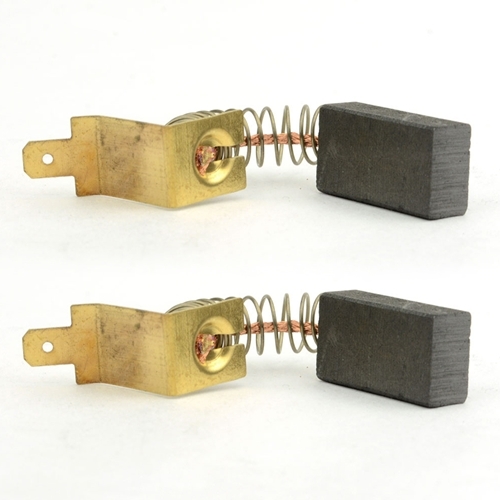 Dimensions (LxWxH): 0.44" x 0.35" x 0.23"
Superior Electric, brand new, Aftermarket Carbon Brushes, K40. This is a genuine Makita replacement part. It replaces Makita (CB-303), 194996-6, 191963-2. 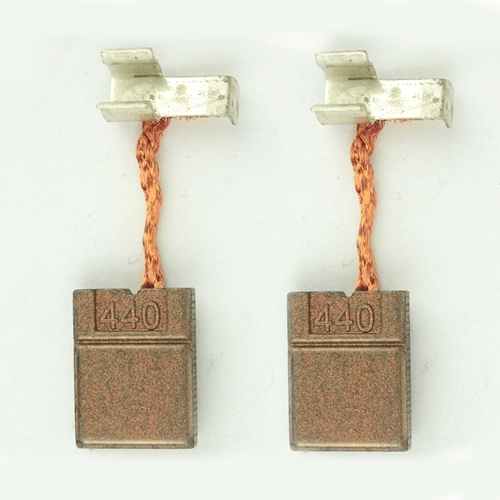 Carbon Brushes are normally referred to as a wear item, and usually has to be replaced after short periods of time due to its usage and friction. But Superior Electric Carbon Brushes are specifically designed to be long lasting, with optimal quality and reliability. 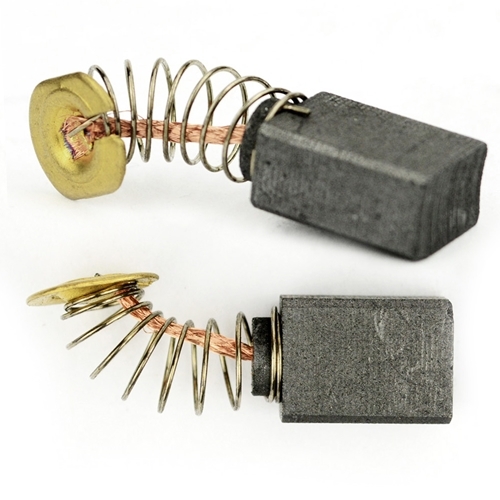 These Brushes make sure your motor runs properly, and fixes an intermittently operating motor. They restore your motor's electric braking. A reference list is provided to check for compatibility. 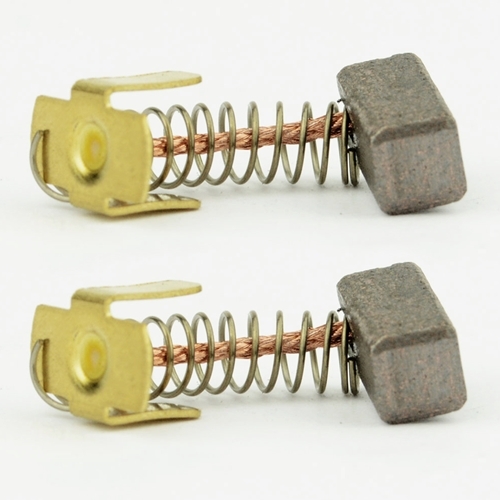 Dimensions (LxWxH): 0.66" x 0.43" x 0.20"
Dimensions (LxWxH): 0.55" x 0.38" x 0.25"
Superior Electric M66 Genuine Dewalt replacement part. 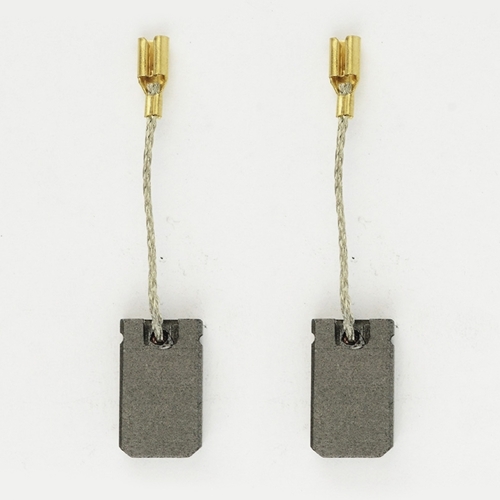 Brush is made to be long lasting with optimal quality and durability.This carbon brush replaces Dewalt 445861-20, 445861-18.It is compatible with many types of sheet sanders and obit sanders from Dewalt and Porter Cable. Dimensions (LxWxH): 0.52" x 0.23" x 0.26"
Superior Electric M67 Carbon Brush Set. Carbon Brushes are normally referred to as wear items, indicating their quick wear and tear due to usage and friction. And then finally a replacement is needed. 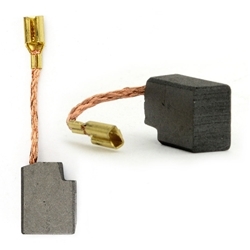 But Superior Electric Carbon Brushes Set are made to be long lasting and of optimal quality. These carbon brushes makes sure your motor runs properly, fixes an intermittent motor, and restore's a motor's electric braking. These are genuine Dewalt replacement part, it replaces Dewalt N031636 Brush Assembly and Porter Cable 888386 Carbon Brushes. Fits many Porter Cable and Dewalt machines, given below. 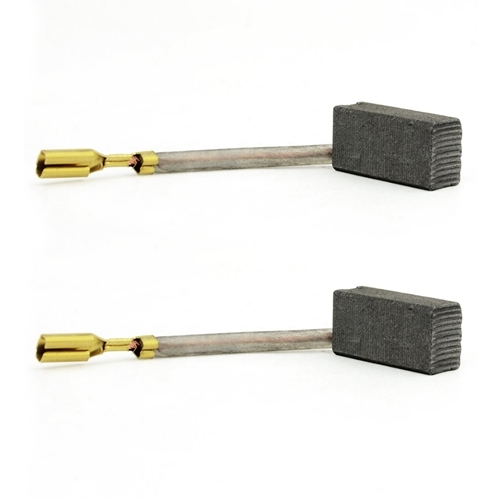 Dimensions (LxWxH): 0.48" x 0.24" x 0.24"
Superior Electric P08 Aftermarket Carbon Brush Set. 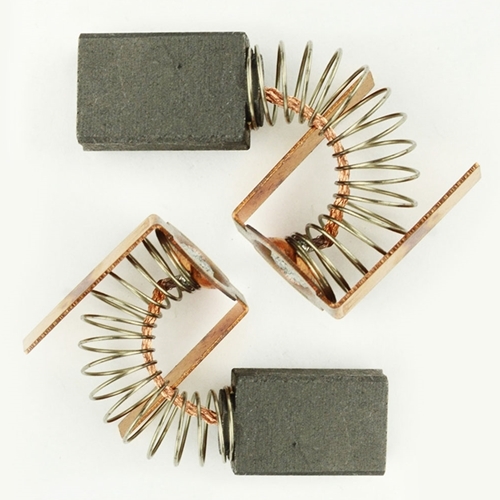 Carbon Brushes are normally referred to as wear items and most commonly replaced parts due to the friction and daily use in motors, finally needing a replacement.But Superior Electric carbon brush is made to last longer. These carbon brushes makes sure your motor runs properly, fixes a motor that operates intermittently and restores a motor's electric braking.This ultimately leads to increased motor power without any motor malfunctions. A genuine Hitachi replacement part, as good as O.E.M. at a very affordable price. Dimensions (LxWxH): 0.65" x 0.25" x 0.35"
Dimensions (LxWxH): 0.74" x 0.42" x 0.25"
Superior Electric S79 Aftermarket Carbon Brush Set. 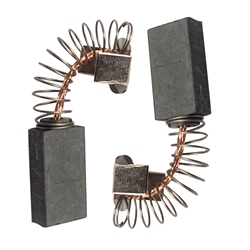 Carbon Brushes are normally referred to as wear items and most commonly replaced parts due to the friction and daily use in motors, finally needing a replacement. But Superior Electric carbon brush is made to last longer. 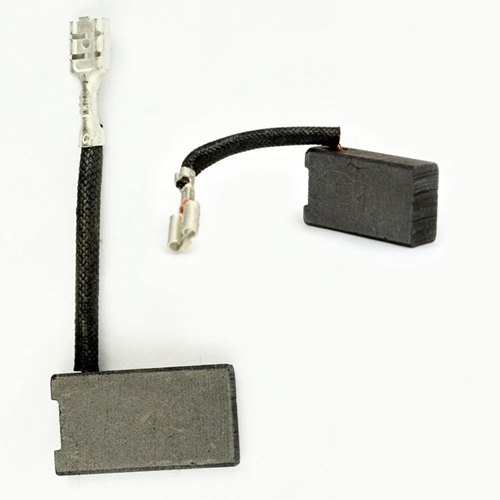 These carbon brushes makes sure your motor runs properly, fixes a motor that operates intermittently and restores a motor's electric braking. This ultimately leads to increased motor power without any motor malfunctions. 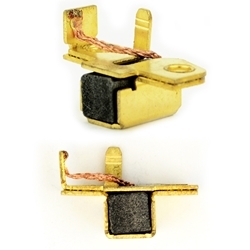 A genuine Skil replacement part, replaces 2610997207, 2610915758 , 2610993222. 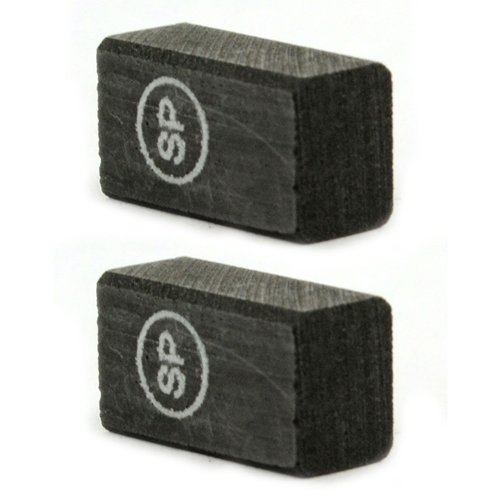 Dimensions (LxWxH): 0.67" x 0.67" x 0.27"
Superior Electric S80 Aftermarket Carbon Brush Set. 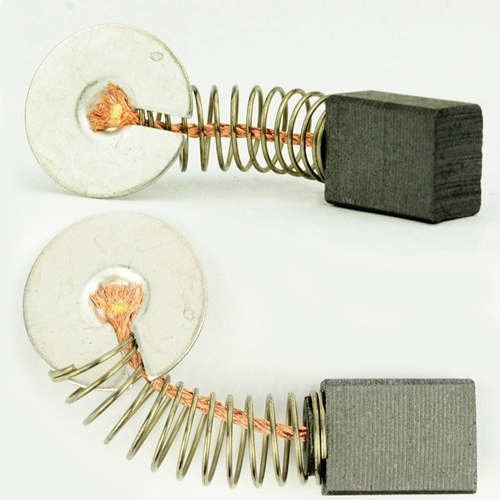 Carbon Brushes are normally referred to as wear items and most commonly replaced parts due to the friction and daily use in motors, finally needing a replacement. But Superior Electric carbon brush is made to last longer. 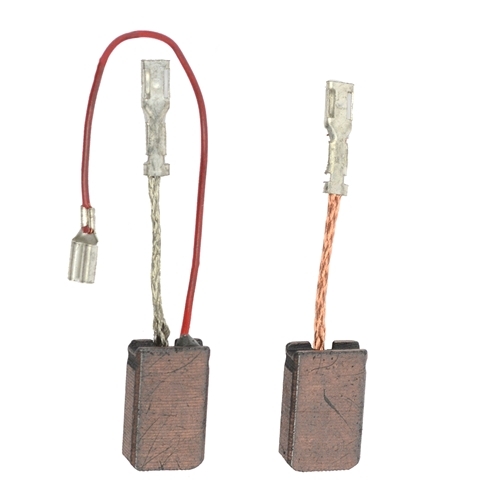 These carbon brushes makes sure your motor runs properly, fixes a motor that operates intermittently and restores a motor's electric braking. 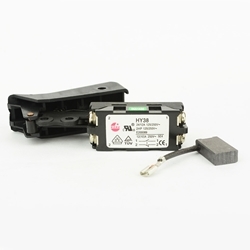 This ultimately leads to increased motor power without any motor malfunctions. 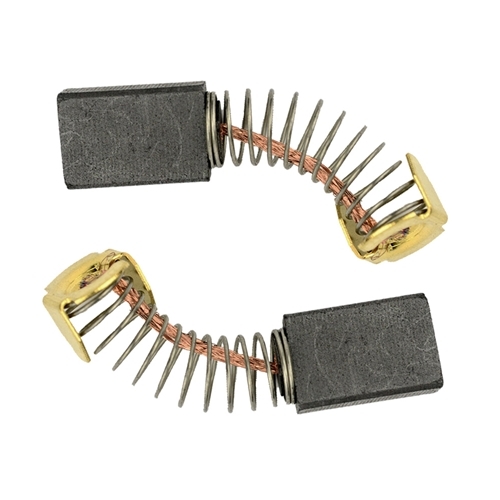 A genuine Skil replacement part, replaces 1607014176, 1607014172, 1607014138. 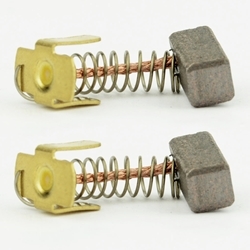 Dimensions (LxWxH): 0.65" x 0.39" x 0.19"
Superior Electric S90 Genuine Bosch replacement part. Brush was made to be long lasting with optimal quality and durability. Set of 2 Carbon Brushes with wire leads and brush springs attached. 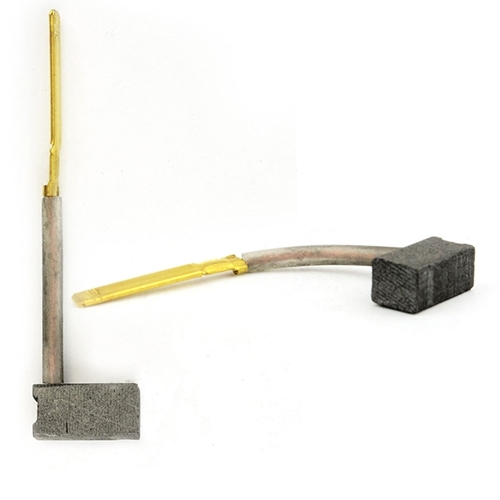 Superior Electric R05 Genuine Porter Cable replacement part. Brush was made to be long lasting with optimal quality and durability. 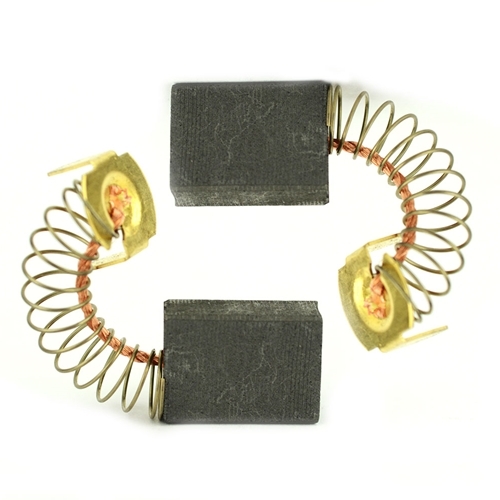 Set of 2 Carbon Brushes with wire leads and brush springs attached. Superior Electric R06 Genuine Porter Cable replacement part. Brush was made to be long lasting with optimal quality and durability. Dimensions (LxWxH): 0.78" X 0.43" X 0.24"
Superior Electric R07 Genuine Porter Cable replacement part. Brush was made to be long lasting with optimal quality and durability. 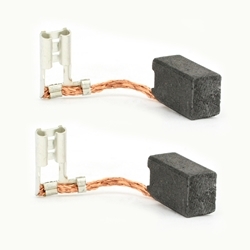 Dimensions (LxWxH): 0.995" x 0.500" x 0.311"
Superior Electric N40 Genuine Milwaukee replacement part. Brush was made to be long lasting with optimal quality and durability. Dimensions (LxWxH): 0.548" x 0.311" x 0.244"
Superior Electric D04 Genuine Ridgid replacement part. Brush was made to be long lasting with optimal quality and durability. Dimensions (LxWxH): 0.674" x 0.664" x 0.272"